According to new research published in the journal BMC Medicine, high coffee consumption does not increase the risk of atrial fibrillation—the most common form of irregular heartbeat. Atrial fibrillation, or arrhythmia, can cause an increased risk of heart failure, stroke, and death. The study involved nearly 250,000 people from across Sweden and the U.S. The first part consisted of 76,475 men and women. Beginning in 1997—and over a 12-year period—participants reported how many cups of coffee they consumed each day. The average daily coffee consumption was three cups. The second part of the study consisted of a meta-analysis involving four other prospective studies involving 248,910 participants. Slightly over 10,400 cases of atrial fibrillation were diagnosed, but researchers did not find an association with coffee consumption (including high coffee consumption) and incidences of atrial fibrillation. Researchers did find that coffee consumption was associated with a non-significant increased risk of atrial fibrillation in men, and a non-significant decreased risk in women. As a result, they began to wonder if men could be more sensitive to high coffee consumption than women—but they noted that more research would be needed. Larsson, S.C., et al., “Coffee consumption is not associated with increased risk of atrial fibrillation: results from two prospective cohorts and a meta-analysis,” BMC Medicine 2015, doi: 10.1186/s12916-015-0447-8. 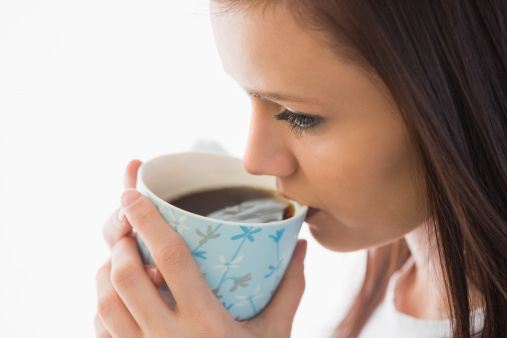 Vernon, J., “Coffee consumption ‘does not raise risk for common form of irregular heartbeat’,” Medical News Today web site, September 23, 2015; http://www.medicalnewstoday.com/articles/299765.php.